Best of 2016 Giveaway Hop – Escape Reality, Read Fiction! 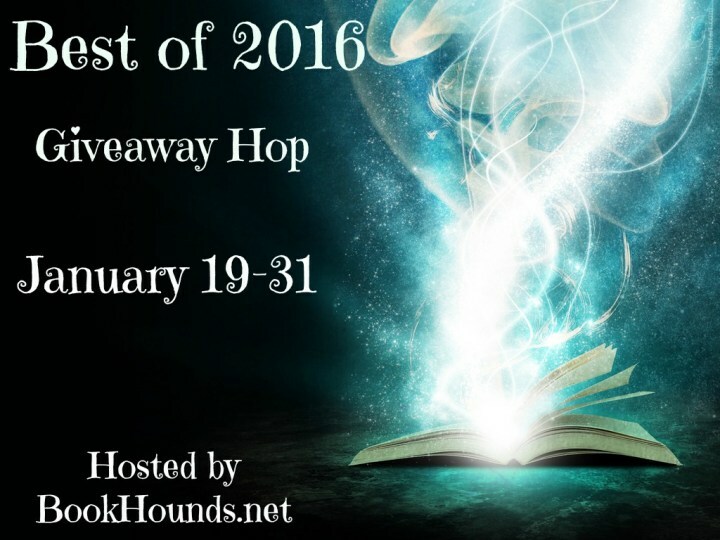 Welcome to the Best of 2016 Giveaway Hop, Hosted by Bookhounds. I somehow manage to do a lot of “Best of the Year” lists. One for me, one for Library Journal, and one for the SFR Galaxy Awards. But the Galaxy Awards haven’t been announced yet, and I’m not going to give spoilers. But still, two lists. And no matter how many titles are one the official list, I usually manage to squeeze a few more onto the lists in one way or another. When I like a book, I really, really like it. And I like books a lot. I also like a lot of books. I’m giving away a $10 Gift Card or a $10 Book from either my Best of 2016 or Best E-Originals posts. So take a look and let me know which one is your favorite! For more fabulous best books, be sure to visit the other stops on the hop! Assassin Queen sounds great, thank you. The Invisible Library sounds very intriguing. Thanks so much for the chance to win! I’dlove to read the latest by Michelle Sagara but I still have to finish the rest books of the series! Thank you for the giveaway! I would love to read the Susan Wiggs book. TY for the giveaway. The Fate of the Tearling by Erika Johansen sounds like a good read! I’d most like to read The Fate of the Tearling! Goodbye For Now looks great! Belle Chasse would be my pick or Shadowed Souls because I love Dresden Files. I would like to read A Great Reckoning by Louise Penny. Thanks for having the giveaway. I’ve already read A Family Tree and A Certain Age and loved both. I’d like to read Finn. I’d like to read carry on. Edye recently posted..Get Movin’ with Jabra Headphones! +giveaway! The Emperor’s Arrow looks really good! I think I’d pick Spaceman by Mike Massimino to read, but if I win I’d probably ask for a gift card and go shopping. Thanks for the chance. Just One Damned Thing After Another, which ideally would be the description of all my favorite novels. I think I would like to read Carry On ! So many books I haven’t heard of! I’m not sure yet which one I’d pick but I’ll definitely look into them. 🙂 Thank you for the giveaway! I’m not sure yet what I would choose. Thank you for your contest! I would love to read Belle Chasse by Suzanne Johnson.It sounds awesome! Daughters of the Bride really looks good to me. Gosh, I already have a lot of these books (many due to your reviews–thanks for that), but I still have Admiral and Family Tree on my wish list so I’d have to decide between those two if I managed to win. Allegiance of Honor by Nalini Singh sound like a great story. I would pick Allegiance of Honor by Nalini Singh. I’d love to read The Invisible Library, sounds pretty cool. I would love to read Louise Penny’s A Great Reckoning. I’ve been wanting to read Shadowed Souls. Definitely “The Fate of the Tearling” by Erika Johansen!!!!!!!! A lot of them sound very good! But I think I’d have a hard time choosing between When Falcons Fall and Belle Chasse. I’d pick Belle Chasse by Suzanne Johnson. Indomitable by WC Bauers looks pretty good! Belle Chasse is at the top of my list, although I’m also really interested in The Invisible Library and Just One Damned Thing After Another. I think I would like to read Just Give Me a Reason. I love these types of romances! I would like to read Hidden Figures. I would pick Belle Chasse 🙂 thanks for the giveaway! Oh I think Family Tree by Susan Wigg sounds so good!!! That is one that I have wanted to read! I’m not sure which book I’d pick. I’d have to look through my wish list I have so many. I would most like to read Fate of the Tearling. I would love to read Daughters Of The Bride by Susan Mallery. Hidden Figures ! Been wanting to read more non-fiction , and this is the perfect one. I would choose the Fate of the Tearling. I’d love to read another Louise Penny book 🙂 Great choice for your top mystery/contemporary.. I think I’d like to read Carry On! Thanks! Til Death Do Us Part by Amanda Quick looks like a book I’d like! My choice would be Belle Chasse by Suzanne Johnson. Love this series! I’d choose Daughters of the bride. I would love to read Daughters of the Bride by Susan Mallery – thanks for the chance. Assassin Queen would be one of the books I would like to read. I haven’t read any of your bests. So hard to choose. I need more time. But for now I’ll say Cast in Flight. Fate of the Tearling has been on my tbr lost for awhile. I’m looking at your “Best of 2016” list. What an awesome and diverse collection! Allegiance of Honour by Nalini Singh. 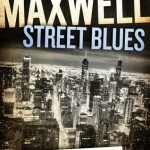 I borrowed it from the library when it was released, it was brilliant and I can’t wait to read it again. Ninja’s Daughter by Susan Spann sounds interesting. Thanks for the chance! The Invisible Library sounds so good! Family Tree by Susan Wigg sounds great! I’d like to read A Certain Age. Assasins queen and Family Tree look great! I think I would pick Just One Damned Thing After Another. 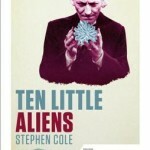 I love sci-fi and time travel, and this sounds like it is different than most other time travel books. The Masked City since I read The Invisible Library. So many great ones. I’d like to start with The Invisible Library. Thanks for giving. Either the Invisible Library or the Tengu’s game of go. I would like to read Daughters of the Bride by Susan Mallery . Til Death Do Us Part by Amanda Quick. Thanks for the giveaway! I would like to read Belle Chasse by Suzanne Johnson! i ENJOY “the Queen of Kaos” the most of all the books on your list this year.